It may be difficult to imagine at this moment, seeing as we’re about to kick the holidays into high gear, but come January, the seasonal madness will settle and the festive décor will retreat back into storage for the next 11 months (or 10 if you’re really on top of your game). While we can’t wait to see this year’s exciting lineup of holiday movies like Fantastic Beasts: The Crimes Of Grindelwald, Aquaman and Mary Poppins Returns (there really is something for everyone this year), we’re always looking forward to what’s coming up next. Here’s a look at the movies slated to hit the big screen in January 2019. Piggybacking off the popularity of the adrenaline-inducing, puzzle-driven interactive experience, Escape Room places six strangers into the “most immersive room yet” for a chance to win a million bucks. But things take a turn for the sinister when “immersive” becomes code for deadly and they must find the clues and solve the puzzle to survive. From the author of the book that inspired 2017’s A Dog’s Purpose, A Dog’s Way Home tells the tale of a pup named Bella (voiced by Bryce Dallas Howard) who finds herself lost and separated from her owner/best friend. As Bella tries to make her way home, we learn just how deep the bond between man and dog runs. We’ll be needing tissues for this one. Keanu Reeves stars in this sci-fi thriller as a scientist who clones his beloved family after they die in a tragic car accident. Of course, human cloning can be a tricky undertaking, and Replicas unpacks what happens when unforeseen outcomes lead to disastrous consequences. Alice Eve co-stars as Reeves’s (cloned) wife in this high-tech exploration of man vs. God. Based on a true story of an unlikely friendship, Bryan Cranston and Kevin Hart team up in The Upside. 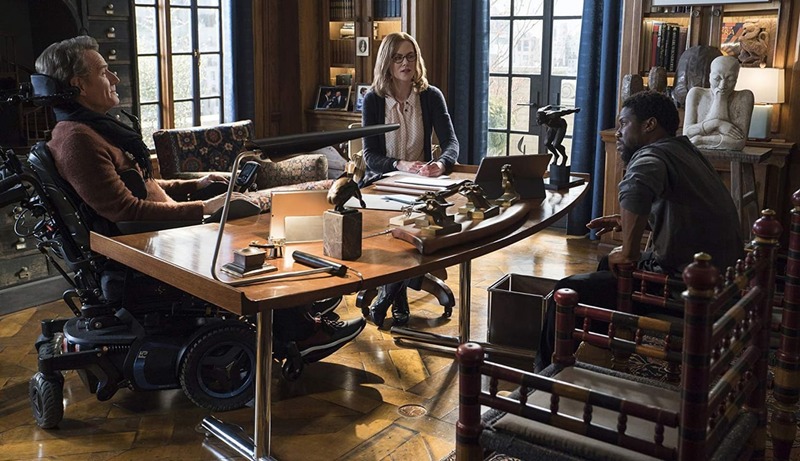 When a wealthy man with quadriplegia hires down-on-his-luck and convicted criminal Dell (Hart) to help with everyday tasks, the two wind up changing each other’s lives. Nicole Kidman co-stars in this heartfelt comedy that’s sure to warm you up on a cold winter’s day. A sequel to 2000’s Unbreakable and 2017’s Split, Glass completes the M. Night Shyamalan trilogy (which has been dubbed the Eastrail 177 trilogy). While the series lives in the superhero/comic book realm, it’s not actually based on a comic book and you won’t find any traditional hero suits or capes on screen. What you can count on is a smart, exciting action/thriller that pits villainous superhumans Mr. Glass (Samuel L. Jackson) and The Beast (James McAvoy) against protagonist super David Dunn (Bruce Willis). Oh, and there’s a strong chance of signature Shyamalan twist. 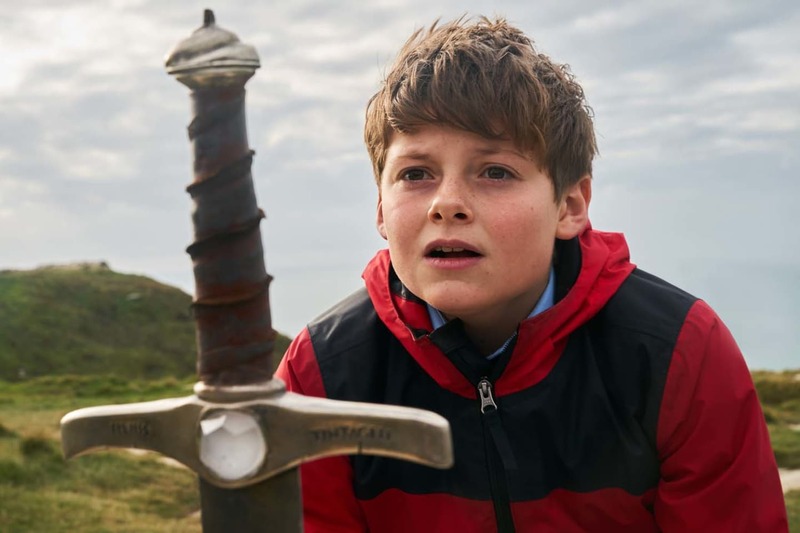 A fantasy/adventure King Arthur tale set in modern-day England, The Kid Who Would Be King provides the month’s only kid-oriented movie offering. When 12-year-old Alex (Louis Ashbourne Serkis – yes, son of the great Andy Serkis) discovers Excalibur, he must lead an army to defeat the evil enchantress who is threatening the world. Matthew McConaughey, Anne Hathaway and Diane Lane star in the upcoming psychological thriller Serenity that promises to keep you guessing. 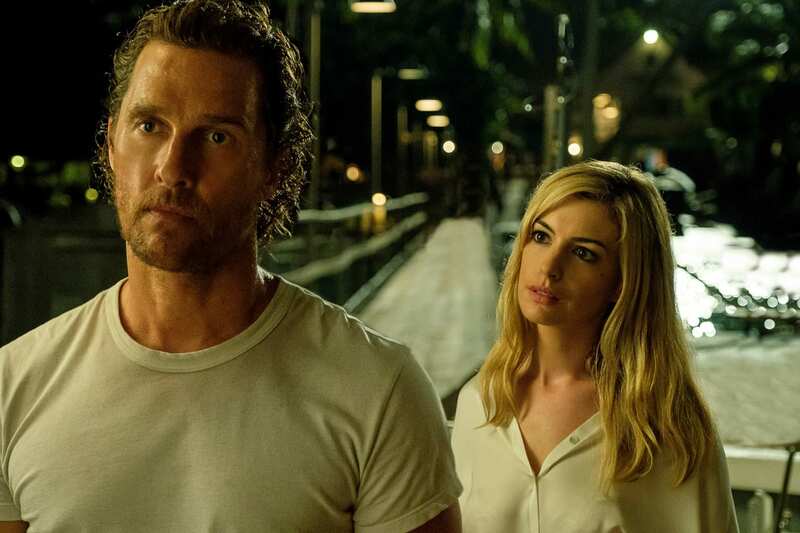 When his ex-wife (Hathaway) resurfaces asking for help, Baker Dill (McConaughey) must face his mysterious past and navigate the muddy waters of truth, lies and deception. Sound intriguing? We think so too.